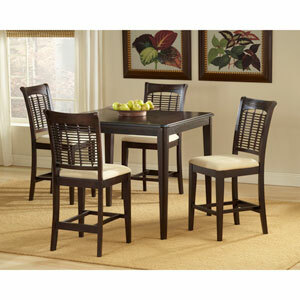 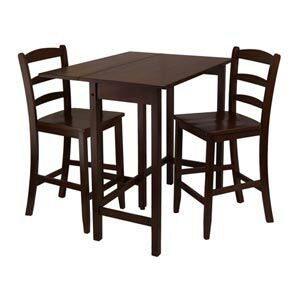 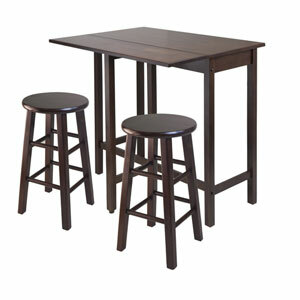 3pc Set comes with a high/pub table in rich and warm walnut finish lends itself to a cozy gathering. 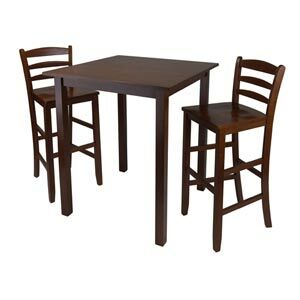 The size is ideal for seating up to four discerning individuals and will look fantastic in a kitchen or small dining area. 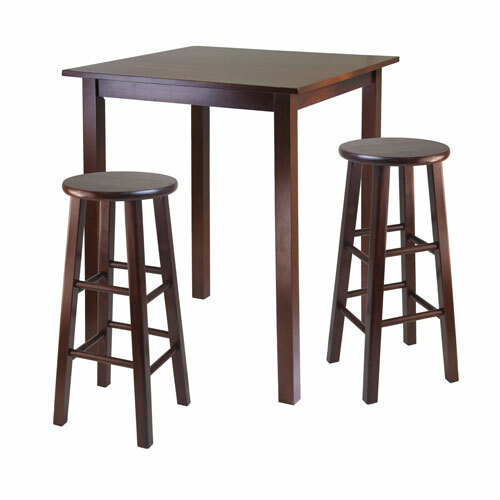 Table requires simple assembly and made of solid wood. 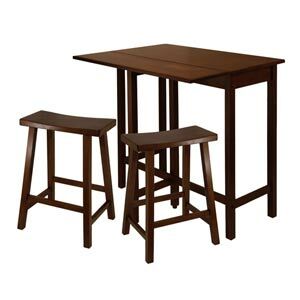 2 -24 Square Leg Stools is included in this set. 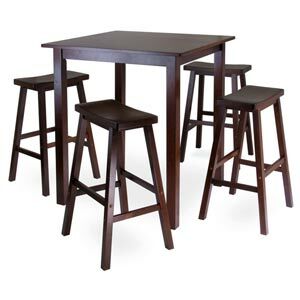 Stool is fully assembled. 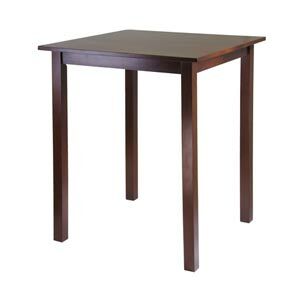 Square Table assembled size is 33.86W x 33.86D x 38.98H. 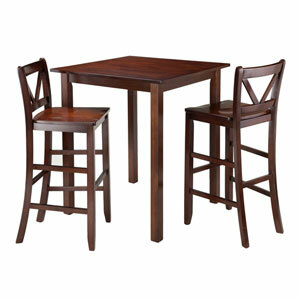 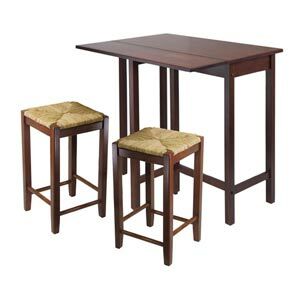 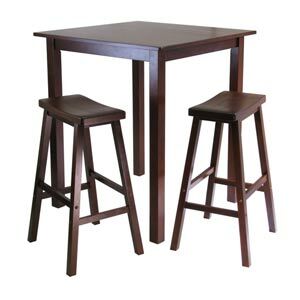 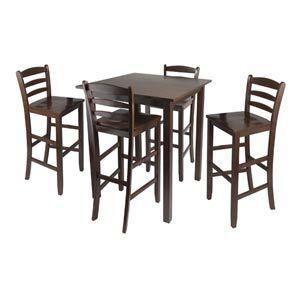 Includes 2 Assembled Bar Stools 13.60W x 13.60D x 29.10H; Seat diameter 13.